Its commonly understood that adopting new technologies and processes can be difficult for some organizations. However, in today’s “technology tsunami” environment, new innovations are key to all organizations’ competitiveness. The cycle of innovation is now so rapid that it is creating a new leadership perspective focused on harnessing the opportunities brought by new technology instead of managing the diminishing stability of the status quo. 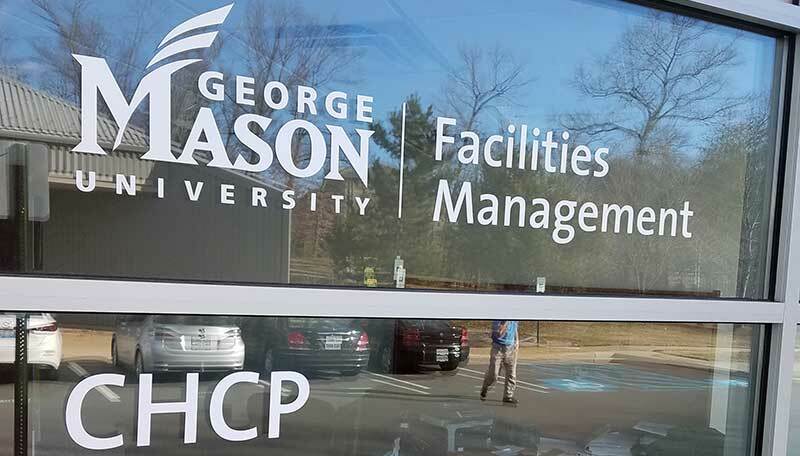 George Mason University is taking the lead in this arena as demonstrated by the University’s adoption of new chiller optimization tools. 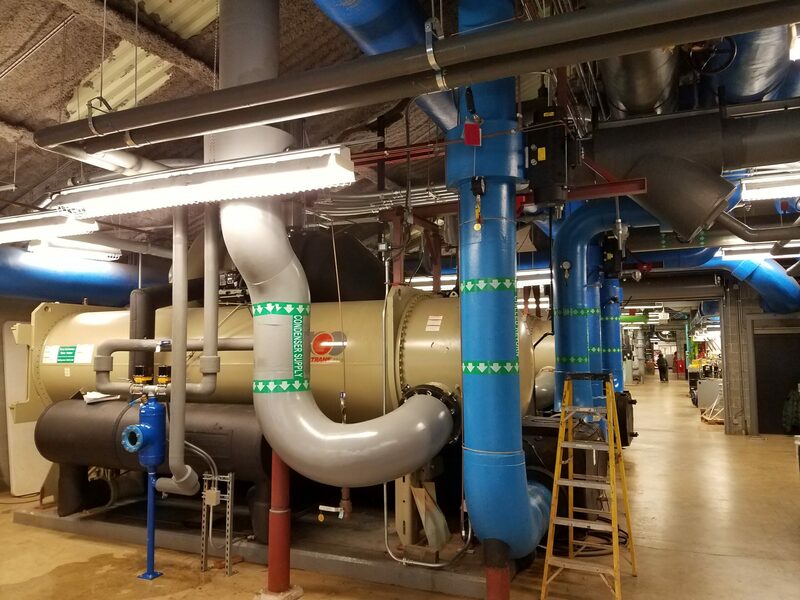 In May, 2017 we highlighted GMU’s employment of the Helios Tube Cleaning Systems (Helios TCS) in one of their chilled water facilities as it worked side by side with a traditionally run chiller. The season is now coming to conclusion and the results are profound. Following is a chart that highlights the approach temperature differences between the Helios TCS operated chiller and the non-Helios chiller. The differences speak volumes. The cost savings are clear. 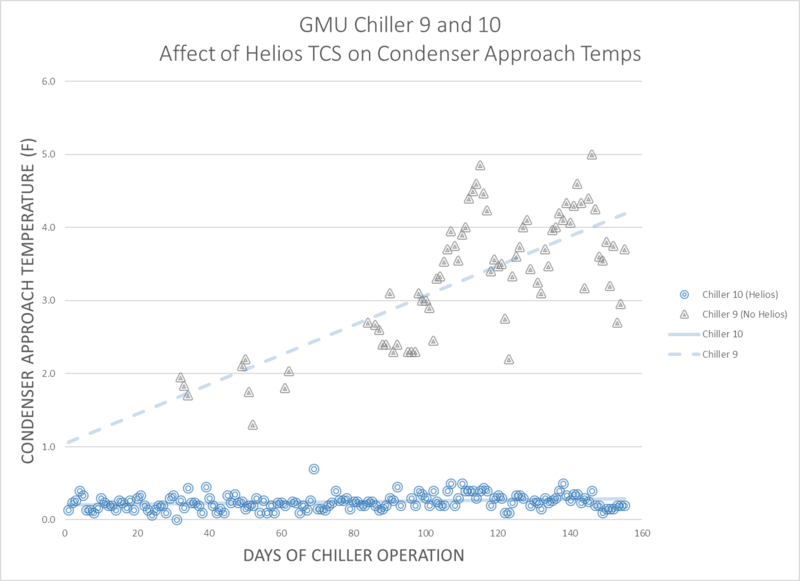 The above chart shows chiller 9 (Non-Helios) handicapped with progressively growing approach temperatures (Increased inefficiency & Cost) due to fouling compared with chiller 10 that employs the Helios TCS. Chiller 10 demonstrates “Flatline” approach temperatures maintaining at less than .5 degrees because of the automated Helios. Obviously, chiller 10 has clean tubes and chiller 9 has developed fouling accumulation during the season. It’s clear that the costs to operate chiller 9 are dramatically higher due to traditional fouling not to mention the increased potential for Microbiological Induced Corrosion (MIC) and the burdens of manual cleaning. Regarding manual cleaning? Seems an ineffective and costly habit.